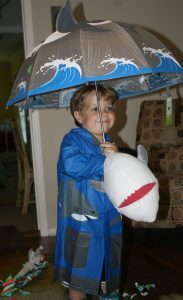 It’s the 30th anniversary of Shark Week, so we took a deep dive to find the coolest, most stylish clothes and shoes featuring nature’s greatest (and most misunderstood!) predator. 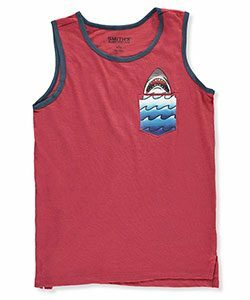 A fun shark graphic brightens up this classic Smith’s American tank top. 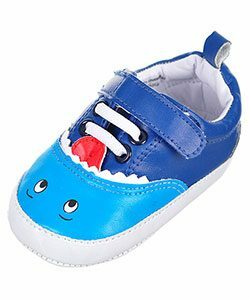 He’ll love the bright colors of these comfy and stylish Tendertoes sneaker booties. 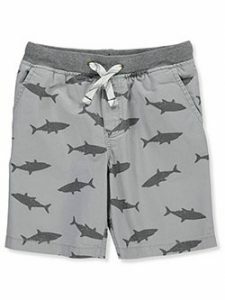 With a playful shark print, these Carter’s shorts are classic shark wear! 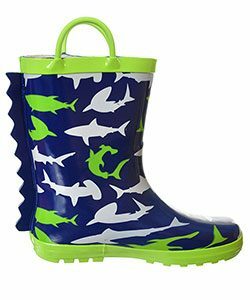 These stylish Lily New York rain boots feature shark fins on the back and are guaranteed to keep him dry no matter how hard it rains. 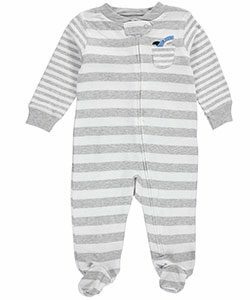 This Carter’s footed coverall’s footed coverall has a colorful shark applique on the backside! 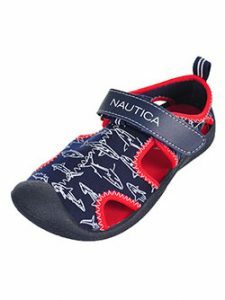 Stay cool with these sporty sandals from Nautica that feature a neoprene upper and fun shark print. We love it when our customers share their Cookie’s finds with us! Carol recently shared this adorable photo on our Facebook page and we were thrilled to learn the special story behind this beach-ready look.